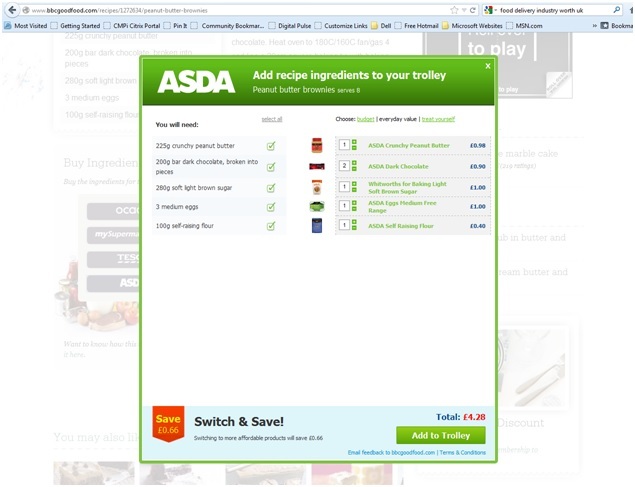 I am so super excited about the new BBC Good Food website – not because it tells me that there were 250 calories in each of the chocolate peanut butter brownies I made at the weekend – but because they’ve added the BEST widget I’ve seen for a while…’BUY INGREDIENTS’. 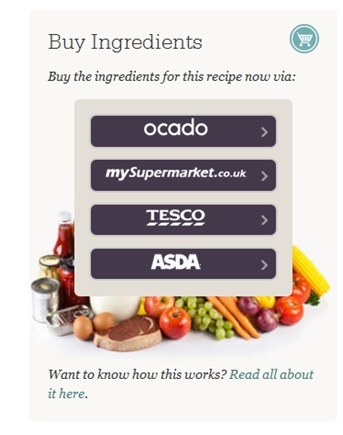 How unbelievably relevant, simple and incredibly useful for people who do their food shopping online – an industry currently worth £5.6bn in the UK alone. Talk about understanding your audience! Don’t under estimate the power of digital simplicity – they’re the innovations which prove the most successful.